Legally Strawberry Blonde: Arts & Crafts Time! So this weekend I decided to be crafty. I had an empty shadow-box-thing on my wall and a bag full of empty MAC boxes. I never really hoard anything but my MAC boxes...weird! So I thought I'd do some kind of visually-interesting design in the little box! However, the eyeshadow boxes are super dull when they don't have a shadow in them; so I decided to print out swatches from the MAC site and put them in the empty boxes to add a little color! I just took whatever was colorful and pretty! 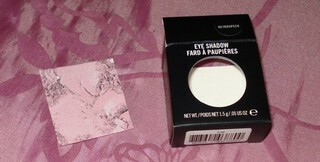 And found out the eyeshadow boxes have a little slit type thing that the pictures fit perfectly into! Boring box and a swatch! See the little slit which is perfect for sliding the pictures in? 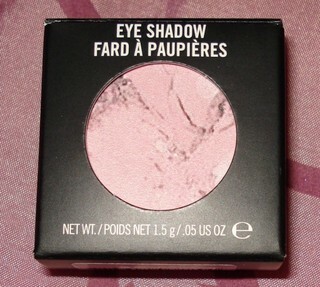 Not gonna lie, it bothers me the swatches on the inside are not the color the box says it is. 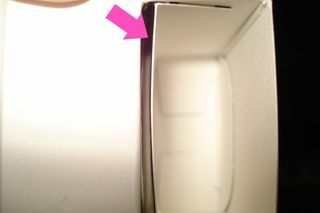 Example, this box is from "Retrospeck" and that is sooo not it! Ta-Da! All finished! The big silver box was from the holiday collection! 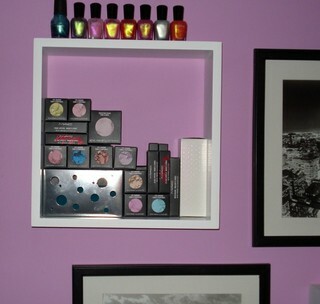 I think this is fun and cute and easy to add a little makeup pizazz to your room, vanity room, whatever! To Depot or Not to Depot?! MAY! I LOVE MAY. AND LAMP. I LOVE LAMP.